About: Go behind the swinging doors of the restaurant world with eGullet’s irreverent Fat Guy. Have you ever wondered how that flawless piece of fish or that rare farmstead cheese reached your plate? Or how to read between the lines of a restaurant review? Or why some restaurants succeed while others fail? Steven A. Shaw has the answers — and he offers them up with style and humor. More than a how-to guide, Turning the Tables is an exploration and a celebration of the incredibly intricate workings of professional kitchens and dining rooms. No snooty critic, Shaw has crisscrossed North America in search of insider knowledge at every level, from temples of haute cuisine to barbecue joints and hot dog stands. He has gone undercover in kitchens and dining rooms, trailed top restaurateurs and suppliers, and has the burns, girth, and aching feet to prove it. In Turning the Tables, Shaw weaves an intriguing tapestry of journalism and opinion to deliver an unprecedented look at every aspect of the world of restaurants. His infectious enthusiasm and penetrating observations make Turning the Tables a joy to read. It is a paean to the cooks, servers, farmers, and restaurateurs who sustain us, and an unrivaled examination of a world that remains hidden to most. 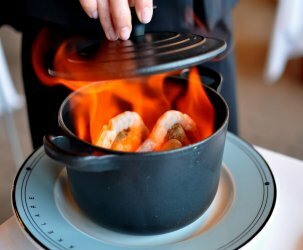 My thoughts: A fun and easy read with some good advice about how to get reservations at uber popular restaurants (“polite but confident persistence” is key). He advises readers to take the information in guides like Zagat’s and restaurant reviews with a grain of salt: remember, they’re just opinions. He also doubts the accuracy of Michelin ratings in Europe and America. This man is really opinionated, which is especially annoying when I disagree with what he’s saying. Case in point, he states that organic produce is not superior to the regular stuff. He also thinks that grass and grain fed animals are nothing special. Steven Shaw needs to read What to Eat and Fastfood Nation. 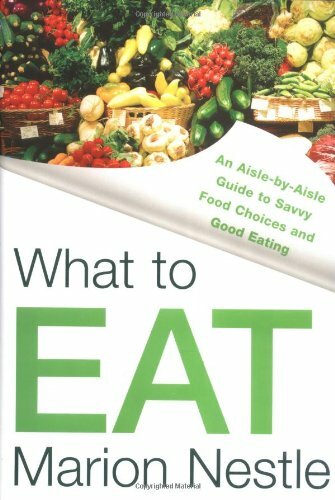 About: “What to Eat” is a book about how to make sensible food choices. Consider that today’s supermarket is ground zero for the food industry, a place where the giants of agribusiness compete for your purchases with profits—not health or nutrition—in mind. This book takes you on a guided tour of the supermarket, beginning in the produce section and continuing around the perimeter of the store to the dairy, meat, and fish counters, and then to the center aisles where you find the packaged foods, soft drinks, bottled waters, baby foods, and more. Along the way, it tells you just what you need to know about such matters as fresh and frozen, wild and farm-raised, organic and “natural,” and omega-3 and trans fats. It decodes food labels, nutrition and health claims, and portion sizes, and shows you how to balance decisions about food on the basis of freshness, taste, nutrition, and health, but also social and environmental issues and, of course, price. My thoughts: The most intelligent people are the ones who are able to convey their knowledge simply, which is exactly what Marion Nestle does in “What to Eat.” Her aisle by aisle guide was extremely informative and a pleasure to read. As someone who enjoys exploring grocery stores, her insights gave me a whole new set of nuances to notice. The concept of “food miles” (the miles/days/energy that foods travel to arrive at our grocery stores) was something I hardly paid attention to before, but now I make an effort to buy locally grown produce because they are fresher and more fuel efficient. So even though locally grown Jersey peaches are smaller in size than the ones from California, they are more nutritious and better for the environment. Another aspect of the book that got me thinking was her take on advertising and the science behind the placement of products in stores – marketing and psychology are so fascinating! This book is really long (611 pages), but is written so that you can seamlessly flip to a chapter that you’re interested in and skip the others. I only skimmed the chapters on coffees and teas because I never buy that stuff. About: Stylish, convincing, wise, funny and just in time: the ultimate non-diet book, which could radically change the way you think and live. My thoughts: I read an interview with Mireille Guiliano a couple of years ago in the New York Times right about the time when this book was released. Readers wrote in to ask her specifics about why French women don’t get fat. Ever since reading that article I have wanted to read this book, but only recently got the chance. 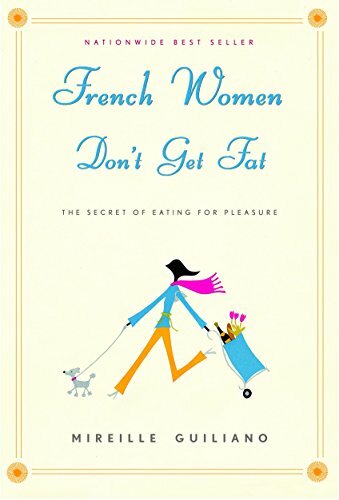 During the introduction and initial chapters I was slightly put off by the author’s tone (think: teacher/student) because I wasn’t trying to lose weight and I didn’t like a haughty French woman telling me how to approach food. After the lecturing subsided, Mireille’s approach became much more palatable and even insightful. This book is filled with great advice about the importance of balancing food in life. While none of the information was exactly new to me, her advice was well articulated and resonated with me. A great lesson to take away from French Women Don’t Get Fat is the concept of input/output. 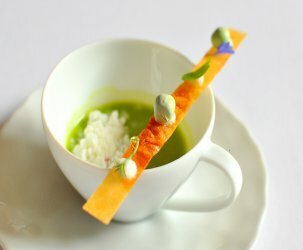 When Mireille indulges in a three-course feast, she takes the stairs and eats lightly before the meal. Another fabulous lesson is embracing the pleasures that food offers, rather than feeling guilt-ridden as a lot of women tend to do. Perhaps the best lesson that the French can teach us is their impeccable taste for everything. 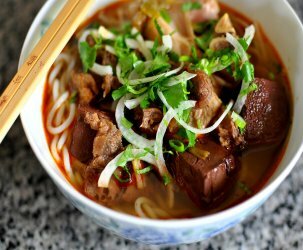 The foods that American’s go gaga for (i.e. Krispy Kremes, KFC, Taco Bell) the French would scoff upon. American’s need to develop their taste buds to become more discerning. We should crave fresh baguettes from a corner bakery, not Snickers bars.